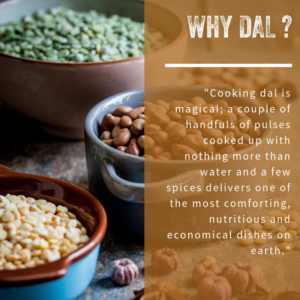 February heralds the second-ever nationwide British Dal Festival, and on Sunday 10th Feb we’ll be celebrating the first ever UN ‘World Pulse Day‘ here at Unicorn with a dal giveaway outside the shop! Between 12 and 4, the lovely cooks from local community cookery school Cracking Good Food will be serving up freebie tasters of a variety of delicious lentil dals. They’ll also walk you through how these dishes are made, with recipe cards to takeaway, so you can go home and recreate them yourself. For the littler ones, there’ll also be craft fun with lentils in the kids area between 10 – 4, led by local community artist Fi Smith. Described by the United Nations as “nutritious seeds for a sustainable future”, pulses are an amazing source of plant-based protein; good for the environment and our nutrition – as well as providing the basis for delicious meals around the world. The word ‘dal’ refers to both the split pulse (ie lentil, bean, or pea) AND and stews, soups or similar dishes made of pulses, split or whole. Dal and similar dishes feed more than a billion people a day. Throughout the shop, we’ll have a focus on pulses for the duration of the festival, including special offers and recipe ideas. We’ll also have some of our UK grown pulses available to fill-your-own-containers in our ‘unpacked’ trial, find out more here!